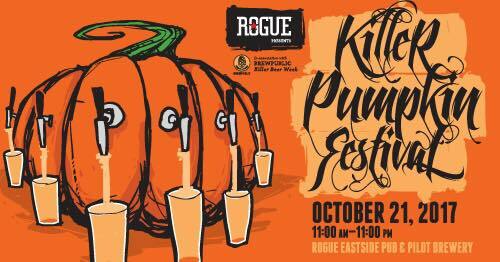 This year’s Killer Pumpkin Festival celebrates more than 30 pumpkin beers. Pair your pumpkin brew with a delicious sampling of snacks from a special pumpkin menu, or try a pumpkin cocktail or pumpkin spiced soda. Pumpkins will available for smashing, bowling, carving, and other activities.